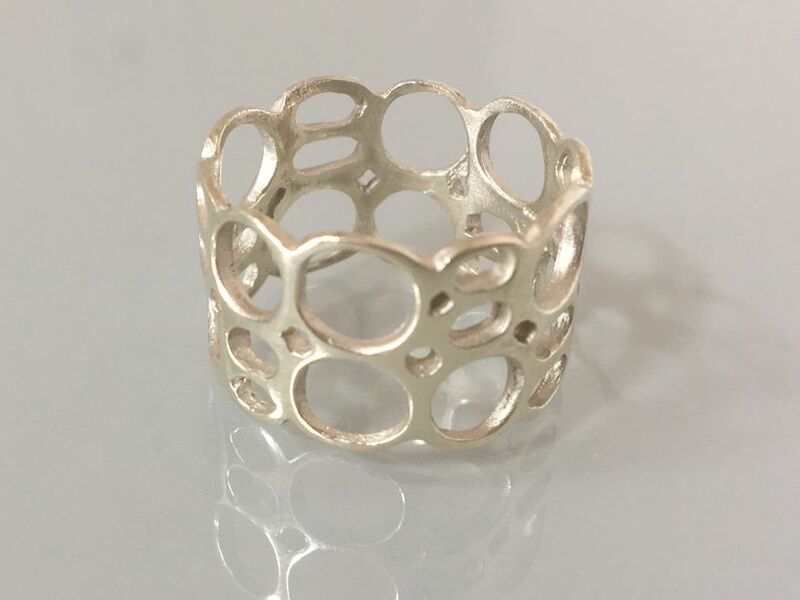 Solid 9ct white gold ring in a circles design available in either a polished or satin finish. The ring is approximately 12mm wide and is available in size O½. The ring is hallmarked.